There ain't no mountain high enough. YAY! It's been so long since the last time I've been to Grouse Mountain - hmmm, 2 years ago when I went on Grouse grinding? No snow at the time because it was Summer but for the first time... I get to see the beauty of the mountain covered in snow; that is probably why it is a good destination for winter sports AND, photo taking. 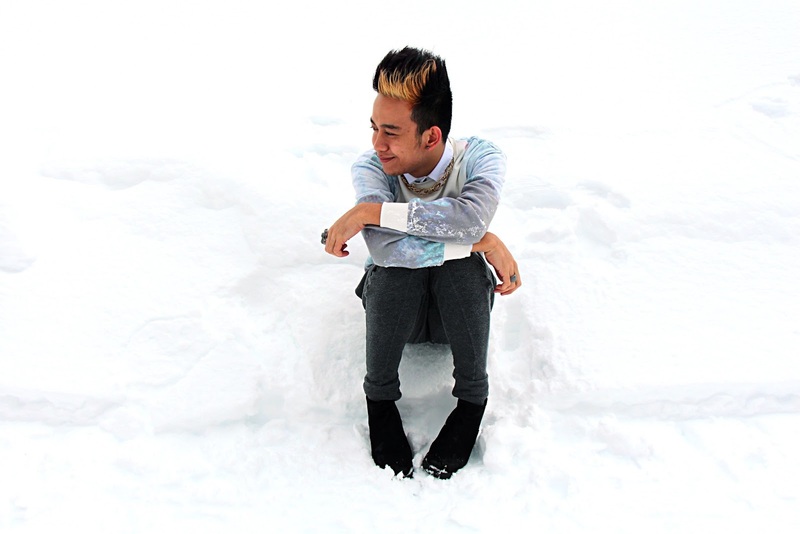 I love, love snow especially when it's Sunny out. Fun how you could do a lot of things and roll over the ground without getting dirty if you want to! Well, you'll get wet a little. HA! The brightness the snow brings and how alluring the ambience was when I first stepped out of that gondola... oh you'll just start appreciating how awe-inspiring nature is. Thank God for this wonderful life. This truck is driving us around the mountain, checking out the spots and all that! Meet my very own Thai buddy, Jan! I came here with her and her lovely Mother Komsan! Thanks to their pass I got in for free! Yeah! I think it's like $40-$60 to get in? Something like that. It was a very fun-filled day. Kids and kids at heart were playing so hard and enjoying the weather! This adventure took place around the end of February, and I totally forgot to share it with you guys! 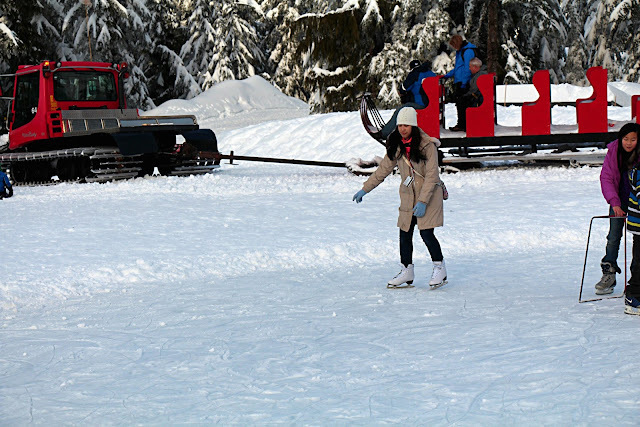 Seems like it's a long story, but to make it short - the actual highlight of this event was my ice skating skills! I finally knew how to balance! YES! I am overwhelmed to the fact that I learned it pretty quickly and my trauma when I first did this (2 years ago) was gone. 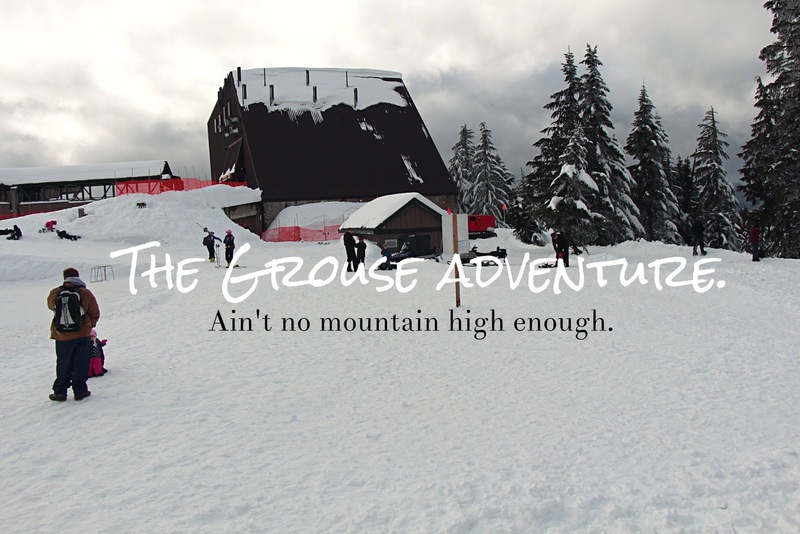 I enjoyed it very much and will definitely do it again - just in Grouse! Anyway there is a video of me and my buddy down below, so feel free to check that out! Watching Jan ice skate, obviously. Better learn from the expert! Thank you so much for your help. I appreciate it, but I can do it by myself now! Woo! And after everything, it's time to eat! Look at that Nachos. Yes, we 3 shared that but didn't finish at all. $24. Outfit: Shark Sweater from TOPSHOP Vancouver | Fitted White Shirt from YesStyle.com | Harem Pants from YesStyle.com | Black Alert Chunky Chelsea Boots from TOPSHOP Vancouver | Gold Chain Necklace from Forever 21 | Narnia Bag from H&M. 'Twas a stunning day. I love life. Here's my ice skating video! "You don’t need endless time and perfect conditions. Do it now. Do it today. Do it for twenty minutes and watch your heart start beating."